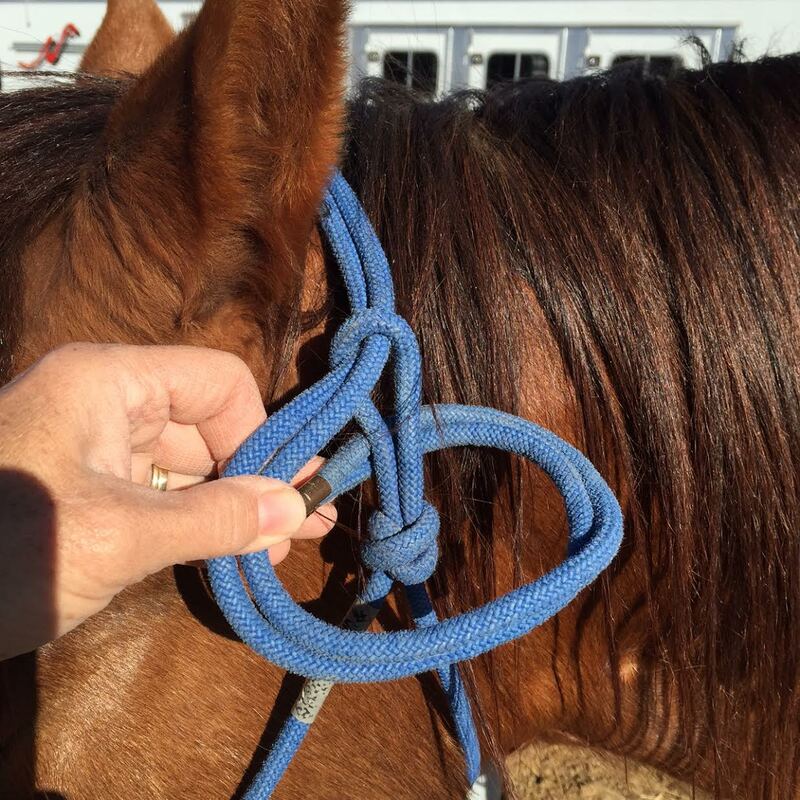 How To Tie A Rope Halter…Correctly. 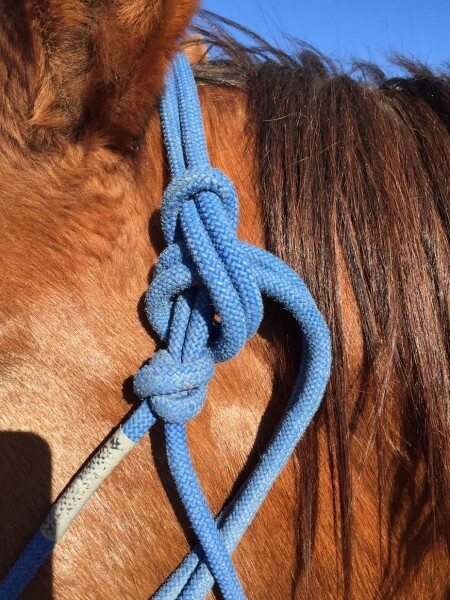 When I see a rope halter tied incorrectly,(the tie is above the loop) I learn something about the person behind the tie. He might be a dude. 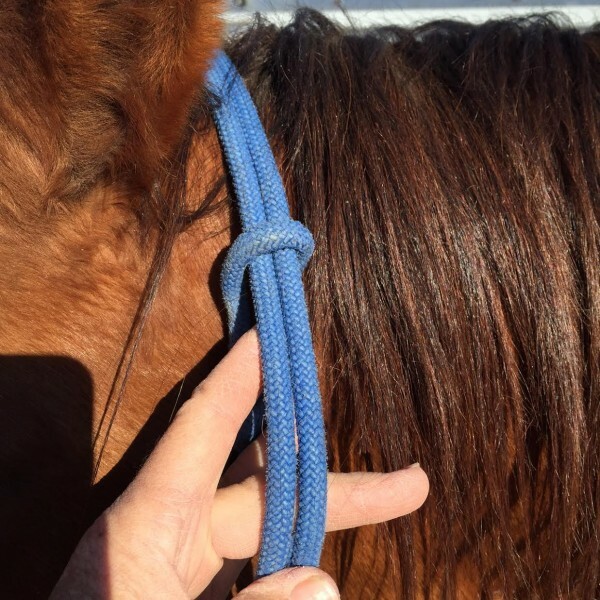 When tied above the halter loop, a horse can pull out of the halter pretty easily and quickly. If you have ever been deep in the mountains with a long string of pack horses and a dude volunteers to help…make sure they know which way to tie your halter. I learned this lesson first-hand while being polite and accepting help. 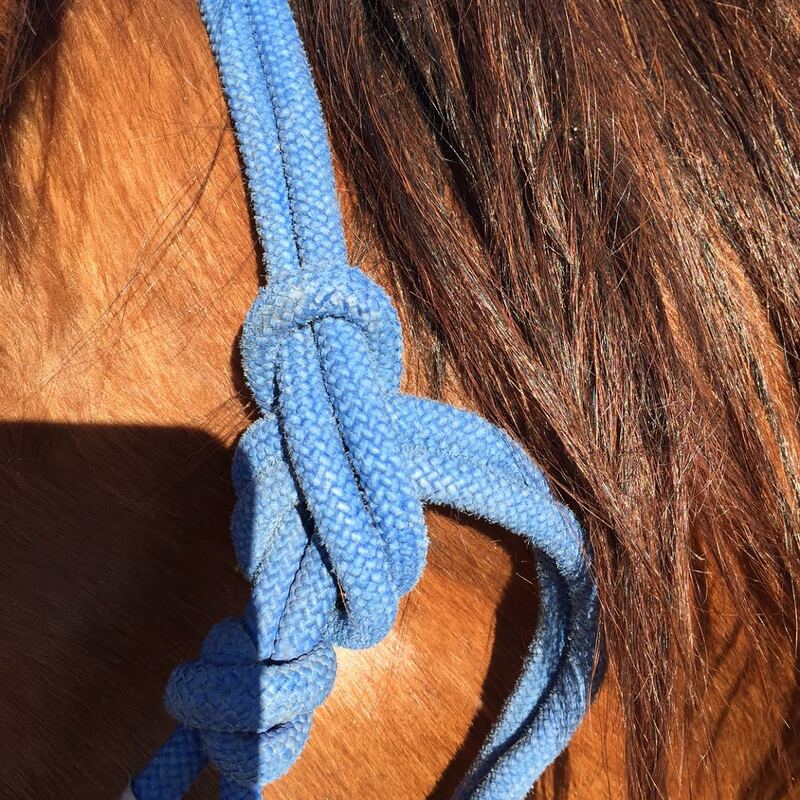 I ended up tracking a pack horse through many miles of the West Elk Wilderness in Gunnison, Colorado after my dude, innocently, had tied the pack horse’s halter incorrectly. 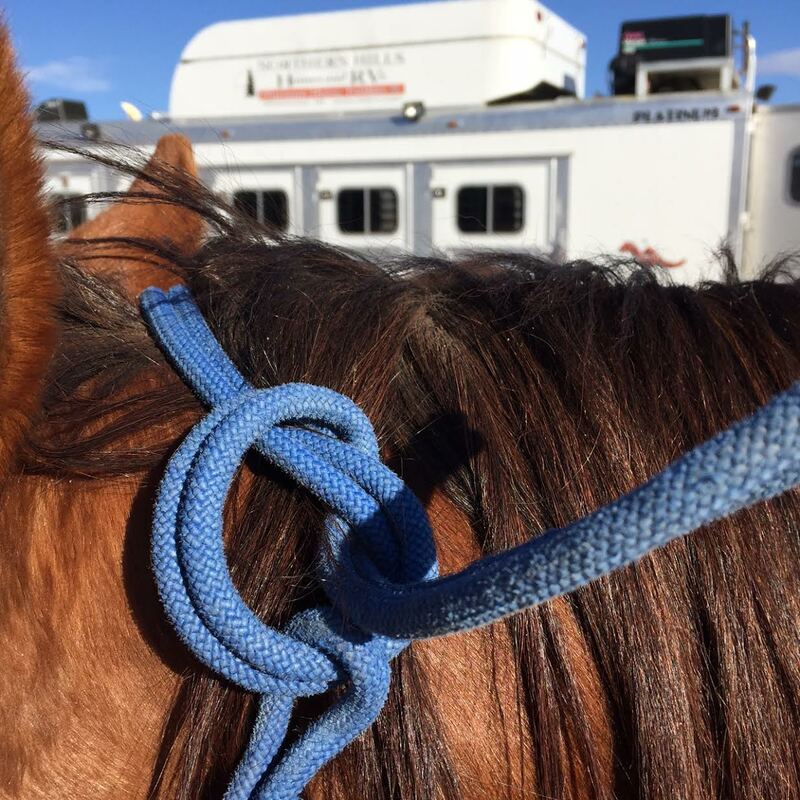 Now days, it could mean a horse getting loose at a barrel futurity, rodeo, or kids’ play day. All not nearly as costly, just hugely inconvenient! Correctly tied: bring the long end over behind your horse’s ears and slide through the halter loop. Make a C with the long end and outside of the loop, then tucking the long end trough the center of the C and pull tight.